Helenio Herrera is quite rightly regarded as one of the greatest managers of all time. He has become synonymous with his “catenaccio” Inter Milan side of the 1960s, but there is so much more to the manager, who was one of the early tactical pioneers. 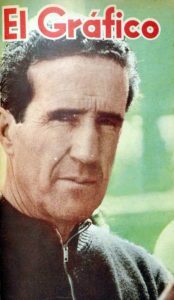 The Argentine began his managerial career in the 1940s and after managing a string of Spanish sides, he finally landed at Barcelona in 1958. Herrera’s time at Barcelona is in stark contrast to his stint at Inter Milan. The manager synonymous with defensive football made his name as an attacking manager par excellence during his time in Catalonia. By the end of his first season at Barcelona in 1958/59, the team had amassed a staggering 96 goals in just 30 games to romp to the league title – ten points clear of second-placed Real Madrid. It is testimony to Herrera’s greatness that the Catalans scored the most goals and also conceded the least – 26, on their way to the title triumph. His tactics of using inside forwards was considered revolutionary at the time and helped the team play such attacking football. The following campaign followed a similar pattern as Barcelona put 86 goals past their opponents and conceded a mere 28 to successfully defend their title. However, it was his team’s failure that couldn’t the better of Real Madrid in the European Cup semi-final that saw him get the sack from Catalonia. In 1960 he landed at Inter Milan and that is where his legend came into being. He stayed at the Nerazzurri for eight years and went on to win all there was to win with a tactical approach in stark contrast to the one he had employed in his previous job. His team thrived on neutralising their opponents all the while maintaining a great positional and tactical discipline in order to hit them whenever the opportunity presented itself. To be able to completely change one’s philosophy without impacting the trophies collected is a truly remarkable achievement. There are few managers who could say the same about themselves. And that is the true greatness of Herrera. He also achieved credible success with Atletico Madrid before arriving at Barcelona and later with Roma in Serie A. He was among the first managers to employ sports psychology to motivate his players. Herrera was uncompromising when it came to having his players follow strict training and dietary regimes. But there were also some unsavoury aspects to the Argentine who earned monikers like ‘the Saviour’, ‘the Magician’ and ‘the Wizard’, during his career. He was accused of doping and match fixing while at the helm of Inter Milan, although nothing has been definitively proved, but the allegations are hard to be simply waved away.